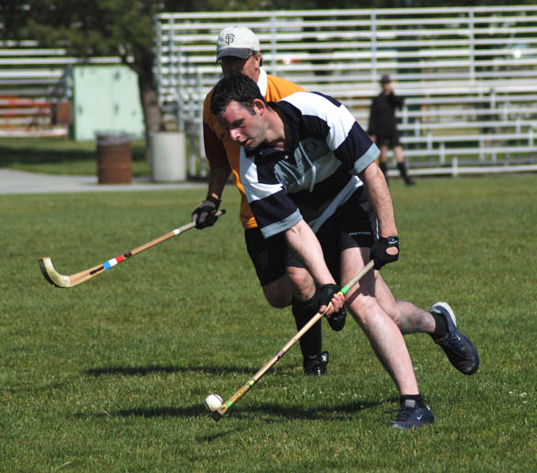 There are a number of details, far too many to pass along here, that make the game of Shinty exciting and make the play great. Here are a few tips and ideas that might be of help. 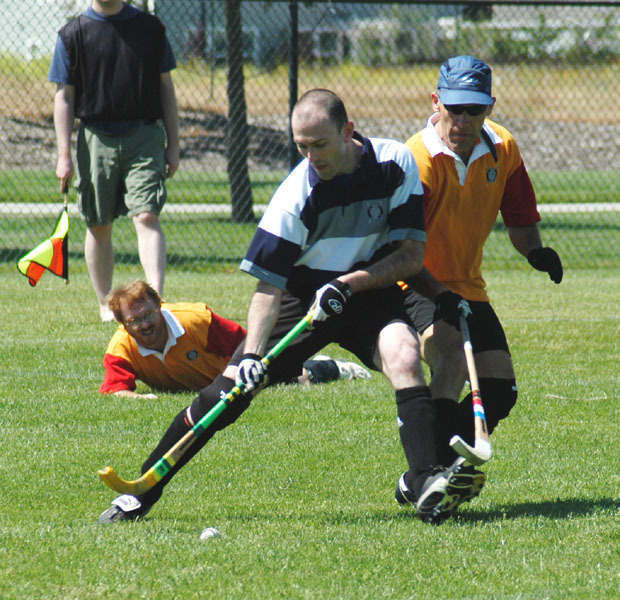 Protecting the ball: Above you can see that the player in the hooped jersey is keeping his body between the ball and his opponent. It is perfectly legal to protect or shield the ball as long as you are attempting to play the ball and not the player. 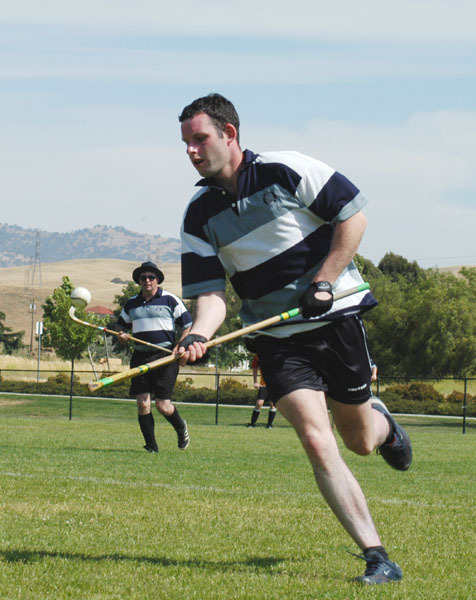 Keepy-uppy: It is possible to pick the ball up with the caman and move down the field while bouncing it on the stick. Of course this is a difficult thing to do and not always the best strategy in any case. However, there are times in a game where a run of "keepy-uppy" can be a great tool, and even better if the ball is popped up in the air and then hit with something approximating a baseball swing! Above you can see visiting player Ross MacPherson picking the ball up with his caman and heading downfield in keepy-uppy mode.